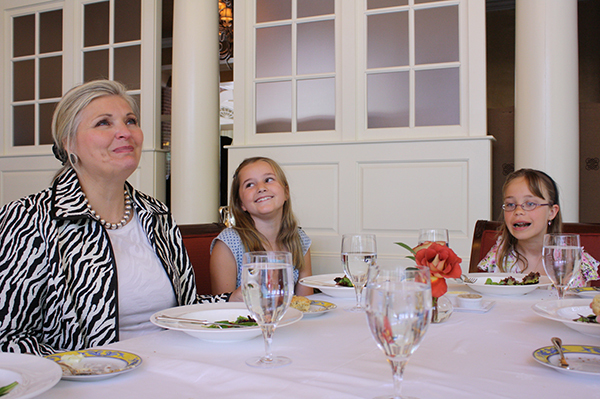 Every June, The Charleston School of Protocol and Etiquette offers its week-long day camp to fledgeling ladies and gentlemen, ages 11-15. Steeped in southern charm, the camp aims to help children develop social and leadership skills, while also boosting their self-confidence. Instruction sessions include smart phone etiquette, proper dining skills, introducing oneself and others, handshaking, eye contact, tone of voice, poise and posture, social dancing, and much more. But this camp certainly isn’t all work and no play; the week ends with a festive graduation cookout and pool party! Kids are sure to have a blast at the U.S. Space and Rocket Center’s summer Space Camp! This week-long sleep-away camp is jam packed with exciting hands-on activities dealing with various elements of science, technology, engineering, and math. Kids participate in two one-hour simulated space missions, explore the history and future of space travel, take a walk on the moon in the 1/6th gravity chair, and tumble and spin on the Multi-Axis Trainer! 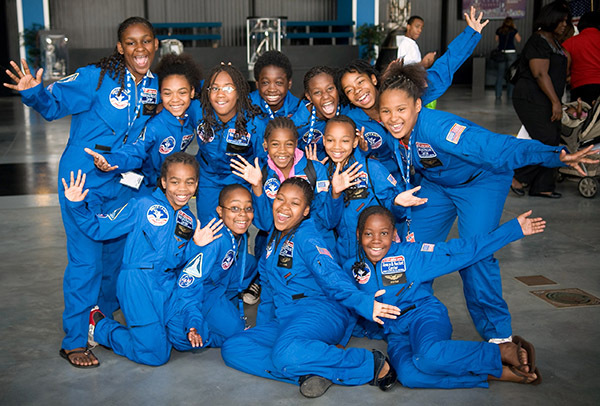 Kids who return year after year are invited to participate in more advanced programs, such as Space Academy and Advanced Space Academy. Established in 1919, Camp Merrie-Woode is a well-established, traditional sleep-away camp for girls. Located in North Carolina’s beautiful mountain setting, the camp aims to foster growth and instill self-confidence in its campers through group activities and outdoor adventures. Three-, five-, and two-week sessions are available, during which the girls can take part in activities such as backpacking, caving, rock climbing, ropes courses, kayaking, white-water rafting, sailing, horseback riding, tennis, drama, art, photography, and much more! Everyone has heard of horse camp, but dog camp? At the Shadow Hill Training Center in Jackson Springs, North Carolina, kids can bring their favorite canines to camp with them! Throughout the week-long camp, campers can learn how to train, or better understand, their dogs through fun and educational sessions on agility, canine conformation, junior showmanship, rally, obedience, and herding. Plus, as camp owner Jane Hammett Bright points out, bringing one’s dog to camp is the perfect distraction and ice-breaker for a shy child who has never been away to camp. 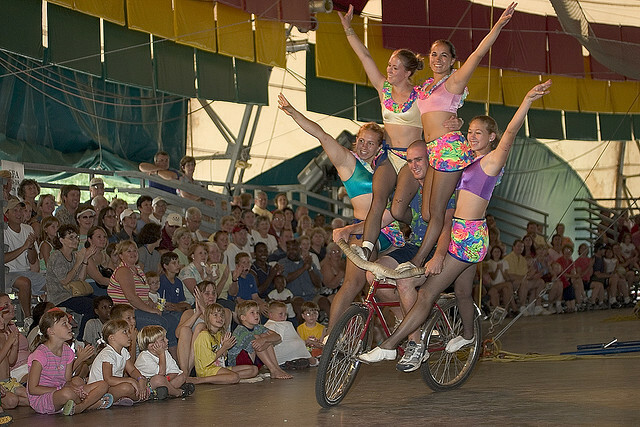 Located on the Florida State University campus, The FSU Flying High Circus Camp is one of the best know — and highest ranked — day camps in the country. Throughout the week-long session (multiple weeks are available), campers will get to work on all of their favorite circus acts, including the flying trapeze, juggling, tight rope, balancing, cloud swing, and more! And don’t worry parents: every member of the camp staff is a current FSU Flying Circus performer who has been certified in CPR and First Aid. For over sixty years, the Circle F Dude Ranch has offered an exciting summer sleep-away camp for children. Kids can choose to explore the ranch’s 500 acres on one of the camp’s 65 horses, or swim or sail the day away in the private 42-acre lake. Other popular activities to choose from include paintball, rock walls, skating at the private skate park, and wilderness and nature walks. Parents may also appreciate the unique element of Family Weekends, during which time parents and other family members can visit their children and enjoy the ranch’s many beautiful amenities. This summer, send your beach-loving kid to Cocoa Beach, hometown of surfing legend Kelly Slater and the famous Ron Jon Surf Shop. The warm waters and gently curling waves of Cocoa Beach are perfect for any kid — whether they surf every morning or have never stepped foot on a beach. 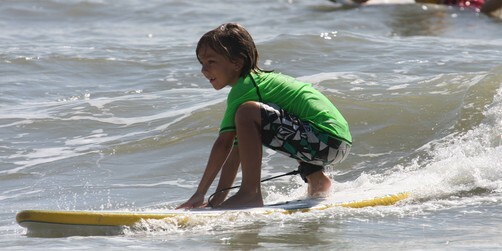 The day camp is conveniently offered in 5-day sessions, and is instructed by trained local surfers. Surfboards, wax, and rash guards are all included. Summer is a great time for a child to focus on deepening his or her faith, and South Carolina’s Camp Gravatt is a wonderful place where campers of all backgrounds and ages can make friends, learn responsibility, become leaders, and grow in their understanding of themselves, their community, and their God-given gifts. 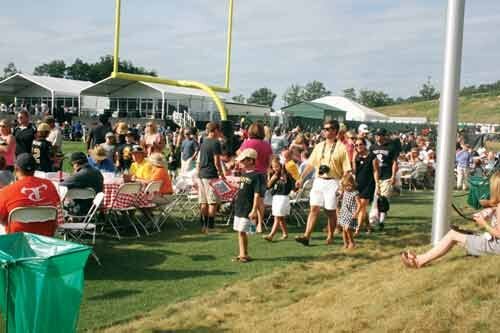 Campers can enjoy various recreational sports and activities on the lovely 260-acre grounds, where games are played purely for fun (as opposed to building up a particular skill). Carefully chosen and specially trained counselors also work with each camper to build faith and self-esteem. This 500-acre mountain wildlife sanctuary offers a Junior Program (for younger, first-time campers) and a Senior Program (a two-week session for campers ages 11-15). Regardless of their level, campers will have a blast exploring the natural world through games, song, story, study, music, arts, hiking, and swimming. Overnight camping trips are always a huge hit, and offer plenty of opportunity for personal reflection and sense of wonder. Though the camp is located only 2 1/2 hours outside of Washington D.C., the spring-fed streams and ponds, abundant wildlife, and star-filled night sky will have nature lovers feeling they’re a million miles from civilization. 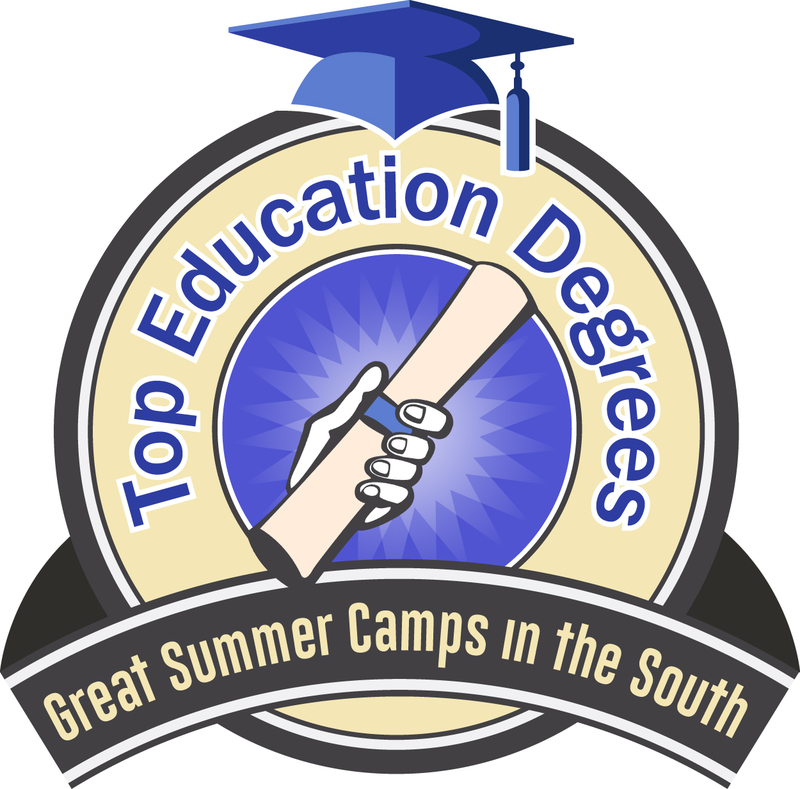 Can’t decide which camp would best suit your well-rounded daughter? 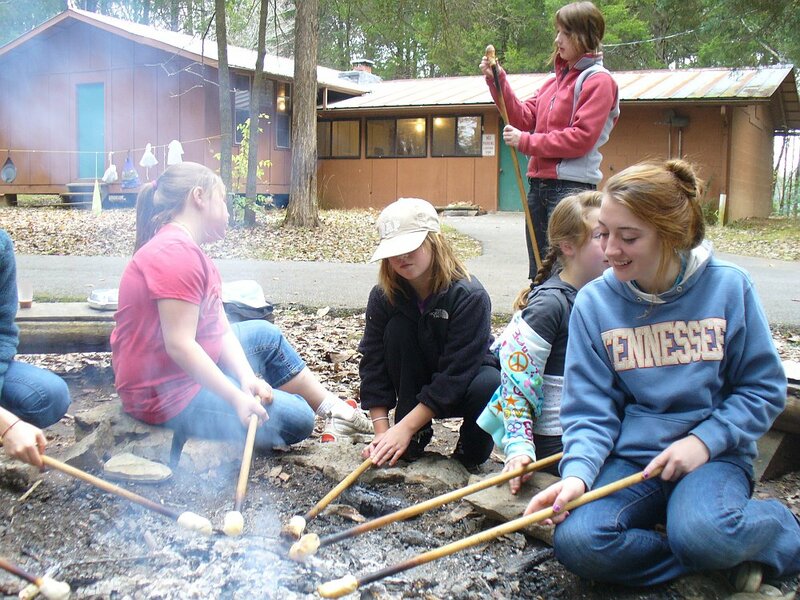 Camp Tanasi is a unique summer camp at which girls can tailor their camp experience to their preferences by choosing three programs in which to participate. 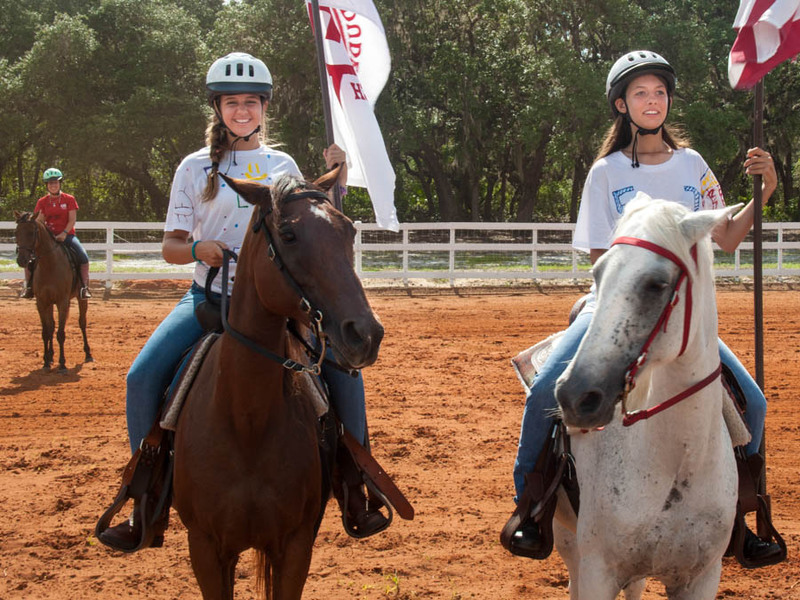 Campers can choose to fill their daily schedules with horseback riding, culinary lessons, water sports, drama, animal-related service projects, science activities, and much more! Whatever a camper chooses, she is sure to have a blast while making life-long friends. Girl Scouts in the group also have the opportunity to earn badges from The Girl’s Guide to Girl Scouting. Camp Horseshoe offers four unique summer camps, including the popular Teen Entrepreneurship Summit where future MBAs can focus on economic education, civic leadership, and service. Full days are spent practicing the principles of private enterprise, learning the basics of starting a business, and identifying and building the character qualities necessary for success. But this business-themed camp definitely isn’t without the traditional camp feel! Campers are given plenty of time for recreational activities such as sports, music, hiking, campfires, a talent show, and much more. Many families have been returning to Georgia’s Camp Toccoa for generations — and for good reason! 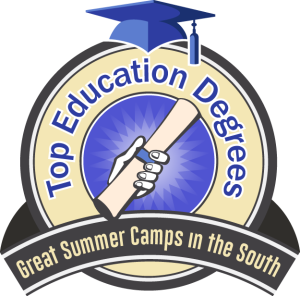 Situated on 176 beautiful acres in the foothills of the Blue Ridge Mountains, Camp Toccoa boasts forested trails, multiple waterfalls, a lake, high and low ropes courses, swimming pools, an environmental education center, and a state-of-the-art riding stable. The traditional co-ed camp offers kids a variety of fun and challenging activities to complete their days, and the dedicated staff members are well-known for helping each camper learn more about the natural world and him- or herself. Owned and operated by the same family since 1898, Camp Greenbrier is a traditional boys’ summer camp located in the Allegheny Mountains along the beautiful Greenbrier River. Boys ages 7-15 can spend their days taking part in a variety of traditional camp activities including archery and rifle, rock climbing, canoeing, swimming, woodcrafts, lacrosse, track, and many others. Older boys (ages 16-18) take part in the Leadership Academy, where they will receive instruction in areas such as time management, goal setting, and public speaking, while also discovering and improving their individual leadership skills through activities like rock climbing, AirSoft, canoeing, a challenge course, and white-water rafting. 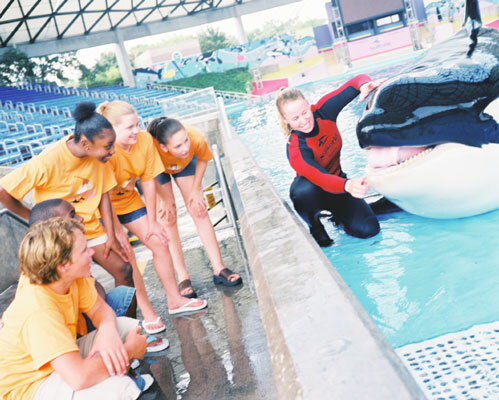 Any budding zoologist or marine biologist is bound to love this week-long camp offered at SeaWorld Orlando and Busch Gardens Tampa Bay. Campers will spend the week learning how to feed, interact with, and care for the resident animals while working side-by-side with veterinarians, trainers, and other animal care experts. But SeaWorld Adventure Camp certainly isn’t all work! Campers will also have fun snorkeling, kayaking, and swimming at the nearby beaches. The unique experience is sure to end with many life-long friendships (and we’re not just talking about with belugas, manatees, giraffes, apes, and dolphins)! Emagination Computer Camp is a two-week (though campers can choose to stay longer), co-ed camp located in Atlanta, Georgia. 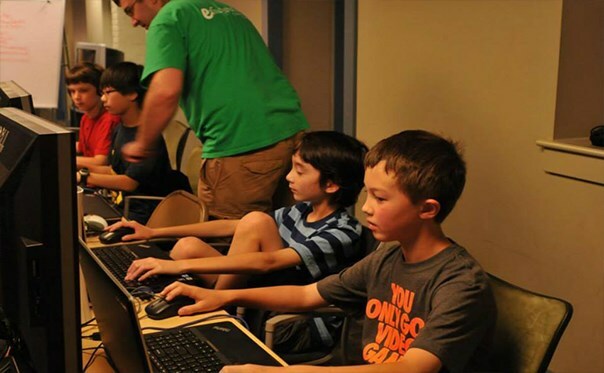 To fill their days, campers choose three intensive workshops from a list that includes 3D Art, 3D Animation, Flash Animations, Minecraft, Digital Music, Video Game Design, Robotics, and iApps. Though plenty of time is spent immersing oneself in the digital world, parents need not worry about their teens spending their entire summer in front of a computer screen. Campers will unplug themselves to take part in fun outdoor games, swimming, a Super Saturday event, and more. Interested campers can also add on a separate visit to a game development studio. Camp Crystal Lake’s Adventure Camp is a great option for adventurous older campers (rising 7th graders through 11th grade). At this unique summer camp, campers will spend a week canoeing and camping along the Suwannee River. They’ll find fun and adventurous diversions along the way, including rope swings, secret caves, and special games such as “Pete Ball” (a camp favorite!). 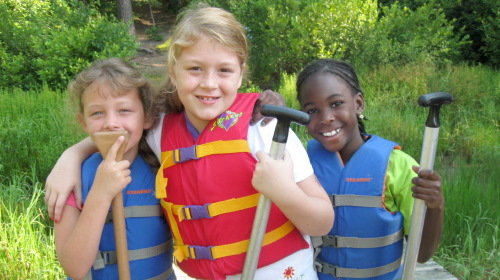 A top-ranked adventure camp, Camp Crystal Lake is known for offering programs that are safe, fun, unique, and personally rewarding for each and every camper. Since 1945, Tennessee’s Camp Y.I. has operated under the belief that outdoor recreation and education are a positive influence in a child’s life. No wonder families have been returning for generations! Campers can choose to spend their days participating in any number of traditional summer camp activities including horseback riding, water skiing, tubing, canoeing, swimming, ropes courses, archery, zip-lining, arts and crafts, and tons more. Evenings begin around the campfire and end in scavenger hunts, counselor hunts, dance parties, kangaroo courts, and more. Camp Coleman has been enriching the lives of young Jewish campers since 1964. 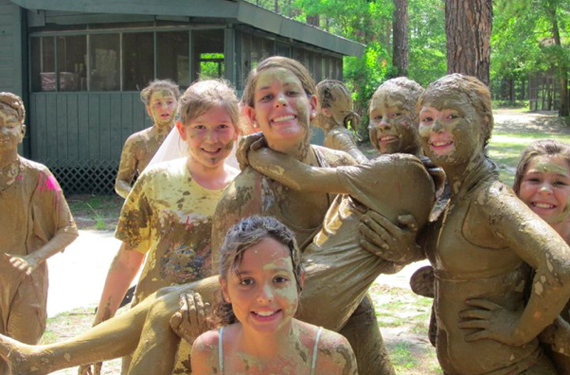 Located in the beautiful mountains of north Georgia, Camp Coleman offers a traditional overnight camp experience chock-full of fun activities, life-long friendships, and the great outdoors. Best of all, parents and campers alike can trust that Camp Coleman is dedicated to Jewish living and learning, including the core Jewish values of kavod (respect), kehillah (community), chesed (kindness), and shalom (peace). For the most adventurous of campers, time spent on the ground might be too dull of a way to spend an entire week of summer! 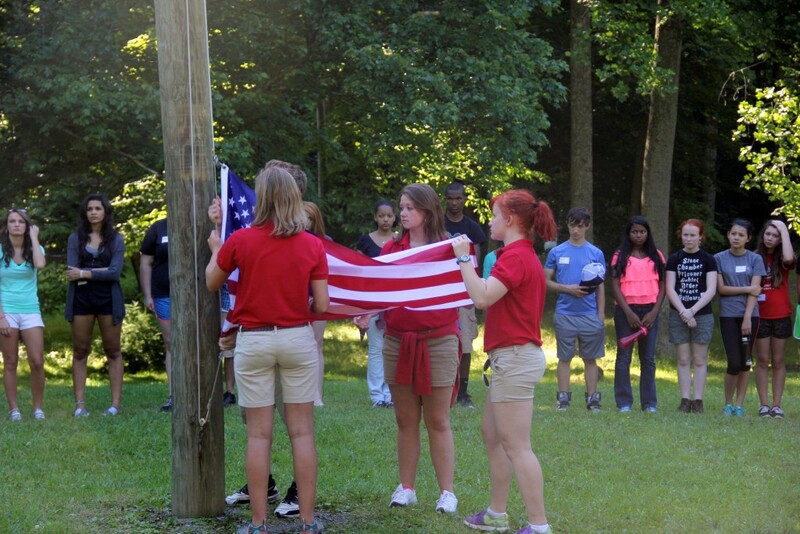 Enter Altitude Camp, a popular and exciting overnight camp offered by the Asbury Hills Camp & Retreat Center in Pendleton, South Carolina. Not only will campers spend their days participating in exhilarating arboreal activities such as zip-lining and tree climbing, they’ll get to sleep in a tree house! 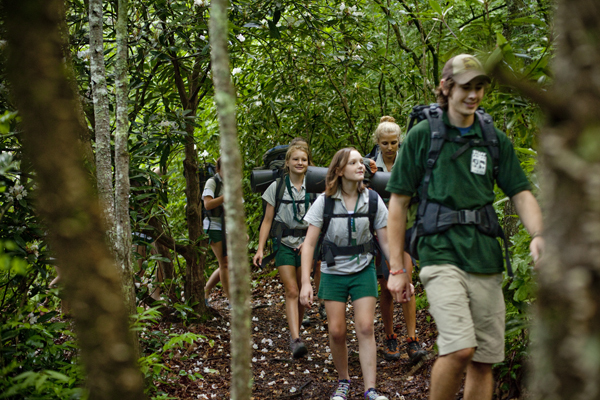 The Leaders in Training program at Camp Sandy Cove is a unique, top-ranked adventure camp for campers who are 15 years old (or going into the 10th grade). 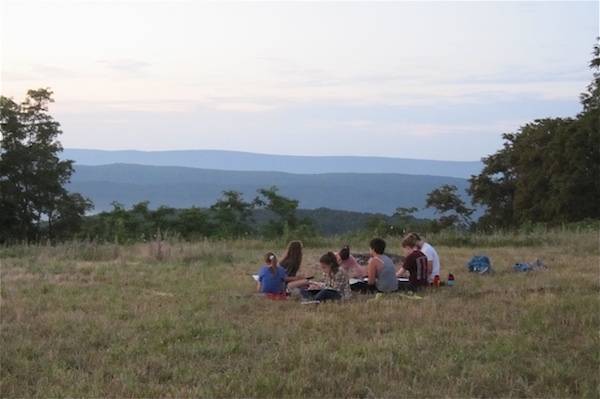 Campers will take part in an extended out-of-camp trip that includes a week of backpacking through the beautiful mountains of West Virginia, a week spent canoeing down the scenic Cacapon and Potomac Rivers, two days rock climbing, and two days on a ropes course. Throughout this entire three-week session, campers will be shadowing Sandy Cove’s very best counselors to learn first hand what it means to be a strong and effective leader. 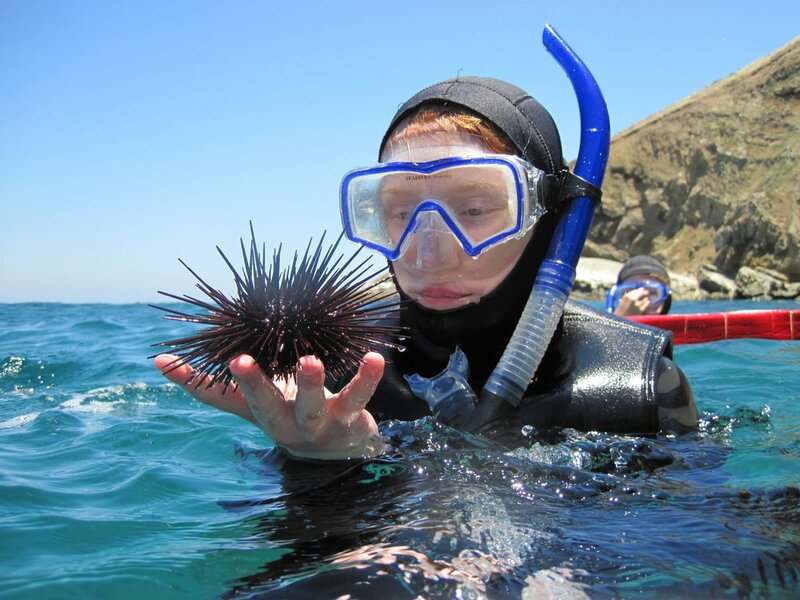 Young scientists and aspiring marine biologists are sure to love SeaCamp’s Marine Science Program. Located in the beautiful Florida Keys and just minutes from the only living coral reef in the United States, SeaCamp’s one-of-a-kind programs are run by academically trained marine science instructors, biologists, geologists, and oceanographers. Each camper works at their own level or interest, and popular activities include several scuba diving courses (for qualified campers), scuba diving certification, sailing and windsurfing classes, and general science courses. Camp of the Rising Son (CRS) is an overnight camp that combines fun activities, the great outdoors, and thoughtful Christian guidance for kids ages 7 to 12. Each camp week revolves around a different theme (popular weeks in the past have been Cowboys, Explorers, Spies, and Never Land! ), making it an exciting and constantly changing place for kids to have fun. 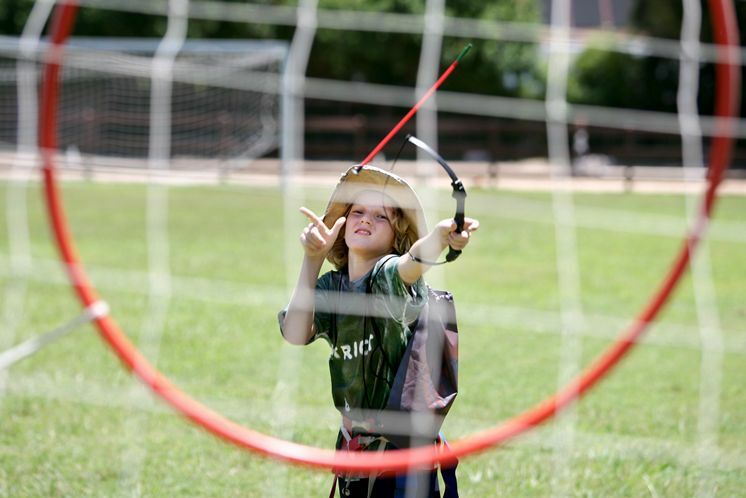 Uniquely, campers have the opportunity to to personalize their camp experience by choosing five favorite activities to participate in daily. 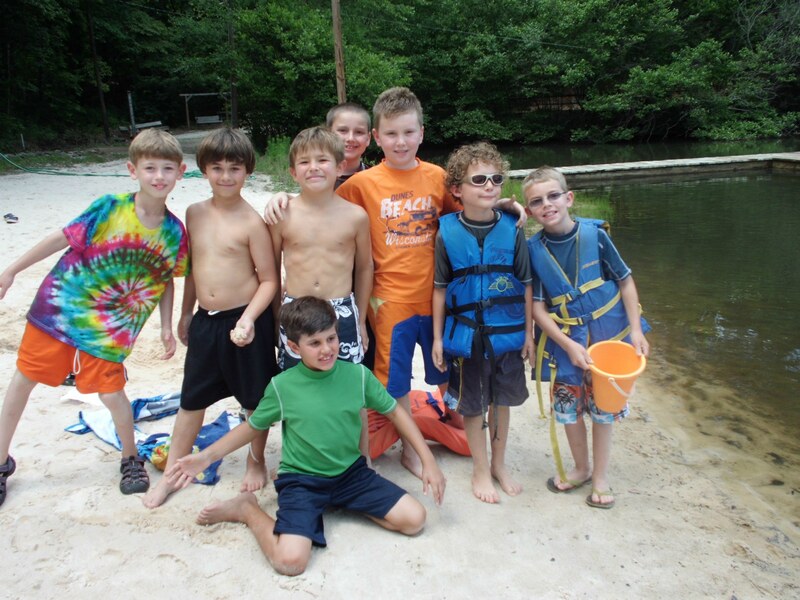 Best of all, CRS promises that each camper is sure to grow in self-confidence, new skills, friendship, and faith. 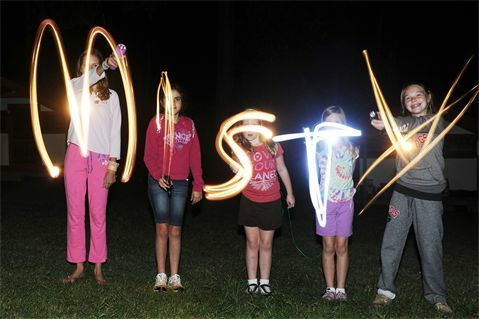 Camp Misty Mountain in Armuchee, Georgia offers more than 60 sessions of summer camp fun, but the Misty Mountain Hunger Games camp may just be one of the coolest — and most popular! Girls will channel their inner “tribute” and hone their survival skills throughout fun sessions dealing with everything from archery, to wall climbing, to fire building, and much more! Though campers are asked to challenge themselves to complete a series of mental, physical, and outdoor challenges, the four-day camp will have any girl laughing and cheering their teammates on as they go. A shorter “Hunger Games Mini Camp” is also available. Summer horse camps are a dime a dozen, but no other camp offers young horse lovers the variety of focused camp experiences that Camp Misty Mountain does. Equestrians can choose from the intensive Cadette Horseback Riding Academy, Trailblazers (overnight trail ride), Junior Horseback Riding Academy, Extra-Long Horse Camp, Wrangler in Training, Natural Horsemanship, and many more! 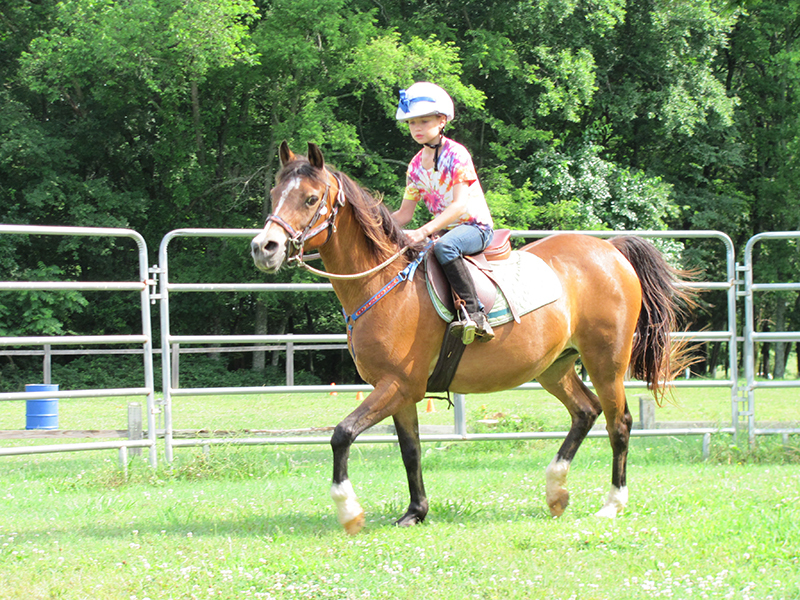 In each program, campers are separated by experience level and given plenty of time on or around horses. When not in a riding or horsemanship lesson, campers have full access to Camp Misty Mountain’s swimming pools, sports fields, and more. Camp Misty Mountain’s Mystery Trip Camp is a truly memorable experience, as each day campers will face a series of challenges, obstacles, and/or problems to solve. Split into teams, campers will decode instructions to gather clues and find out where the next day of camp will be spent (don’t worry, parents get full details regarding locations). Plus, when campers aren’t using their brains to put clues together, they have full access to all that Camp Misty Mountain has to offer. For a high resolution version of the award badge, click here. You are welcome to use the image for your promotion and publications.